In English, we say that the vowels are "a, e, i, o, u, and sometimes y." The last couple of words hint at one of the keys to understanding pronunciation: a vowel is not so much a letter as the sound represented by a letter or combination of letters. Too technical? Try this lesson instead: Vowels for beginners. The majority of French vowels are pronounced closer to the front of the mouth than their English counterparts. The tongue and lips remain tensed through the pronunciation of French vowels, and the sounds remain "pure," rather than diphthonging into y or w sounds, like English vowels tend to do. The consonants C, G, and S have two different pronunciations in French: a hard sound and a soft sound. For C and G, the sound required in any given word depends on which vowel follows the consonant. Hard vowels: A, O, U. When followed by any of these vowels (or by a consonant), the consonant has a hard pronunciation. Soft vowels: E, I, Y. When followed by any of these vowels, the consonant has a soft pronunciation. This distinction is very important for certain verbs, which require spelling changes in order to maintain a soft pronunciation in front of a hard vowel – learn more. All of the French vowels may be modified with various accents. These diacritical marks are extremely important and must be included when writing or typing in French. Hi Laura, I am a big fan. I am trying to figure out why the ´a’ is pronounced in écoula but the ´e’ is not pronounced in écoule. Merci! 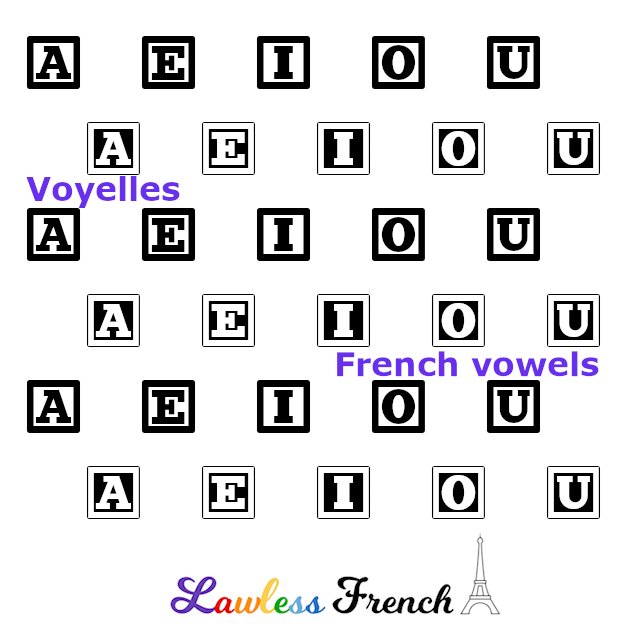 The letter a however is not silent; if it were, écoule and écoula would be pronounced the same, so it would be impossible to know whether you were saying l’eau écoule (the water is flowing – present tense) and l’eau écoula (the water flowed – passé simple). The same holds true for all -er verbs.